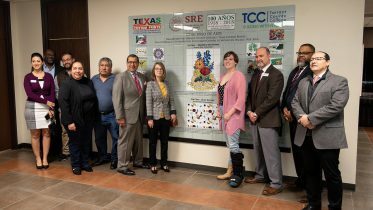 To commemorate the 100th anniversary of the Mexican Consulate, which originally opened in Fort Worth, all TCC students were invited to submit a design for a mural project that depicted the interconnected communities of Texas and Mexico. 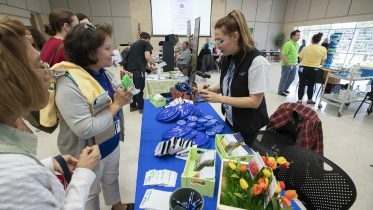 The contest was coordinated by two key members of TCC Trinity River’s Humanities division, Angel Fernandez and Janae Corrado. 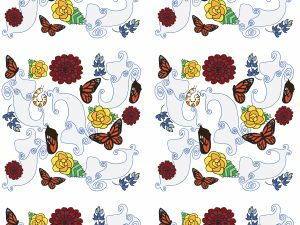 Devarennes’ winning piece, “Comunidad,” was digitally reproduced and printed on to seamless tiles and installed professionally at the Consulate. 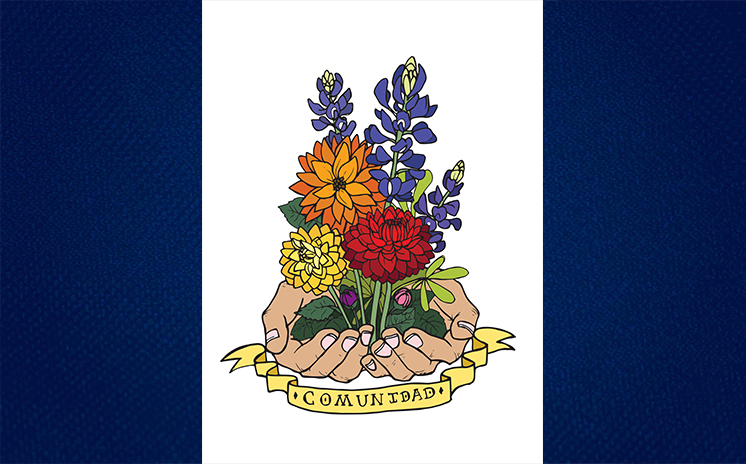 The TCC Northwest art major used Adobe Illustrator to create the winning design. “The idea I had for this piece was to somehow combine the two communities,” said Devarennes, an art major at TCC Northwest. 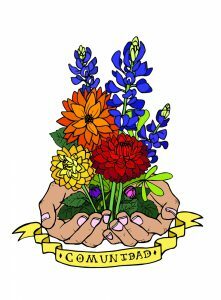 “I came up with two cupped hands holding a bundle of dahlias (Mexico’s national flower) and bluebonnets (official state flower of Texas). The ribbon at the bottom means “community” in Spanish. Lauren Gardner’s “Embroidered” won second place and Oscar Garcia’s “Interlocked” placed third. 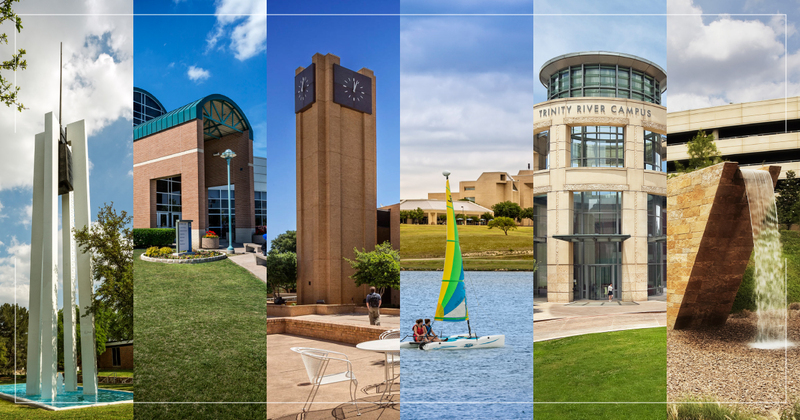 Their artwork will be digitally reproduced and installed as part of the Trinity River Art Collection of Tarrant County College. 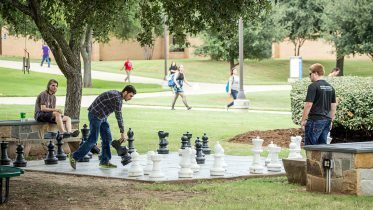 Nearly 35 entries were submitted from students across the six-campus district, according to Janae Corrado, associate professor of art at TCC Trinity River. Benito Huerta, acclaimed artist and professor at the University of Texas Arlington, just this contest. Huerta has served as director/curator of The Gallery of UTA since 1997. His work is in museums and private collections throughout the United States. 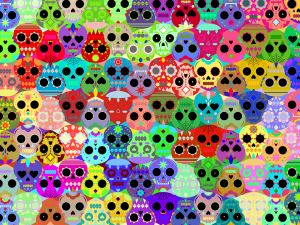 Huerta’s also the co-founder, executive director and emeritus board director of Art Lies, a Texas art journal.